If you’re using GeForce GT 710 graphics card, and found your monitor resolution is poor, you’re not a lone. Many Windows users have reported this issue. To fix the issue, you can try to update the graphics card driver. 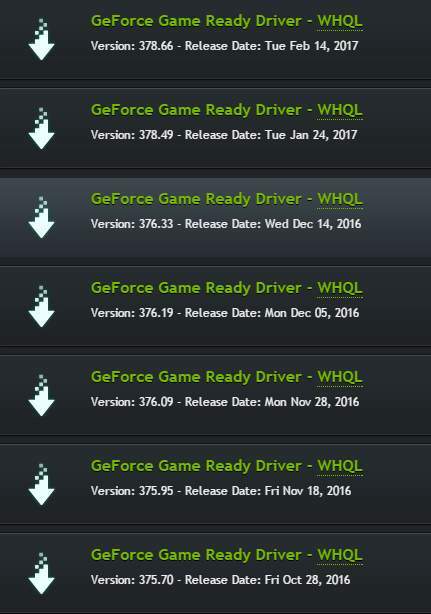 1) Go to the support website of NVIDIA. 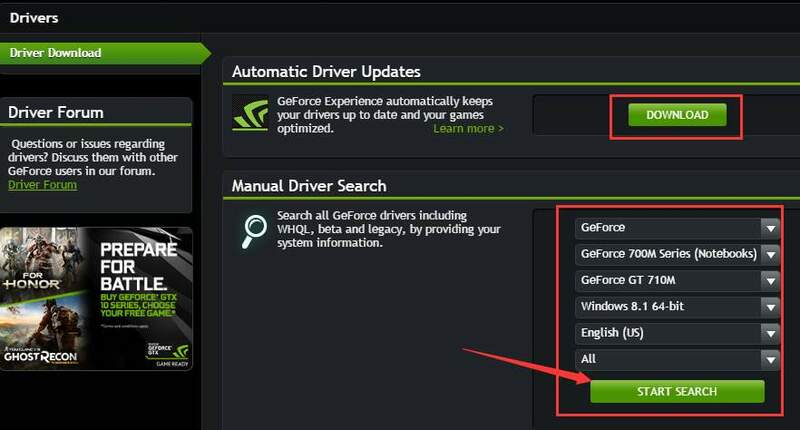 You can choose to automatically detect the driver you need by using this tool of NVIDIA, or fill in the information in the next section and then hit START SEARCH to search directly for the driver. 2) Now, choose from the list of the driver that you need and click into the download page of it. 3) Click AGREE & DOWNLOAD to continue. 4) Follow the on-screen instructions to get this driver downloaded. 5) When the download finishes, double-click the download file and run the installation. 6) You might need to restart your computer for the changes to take effect when the installation finishes. 7) Check to see if the poor resolution issue resolves. 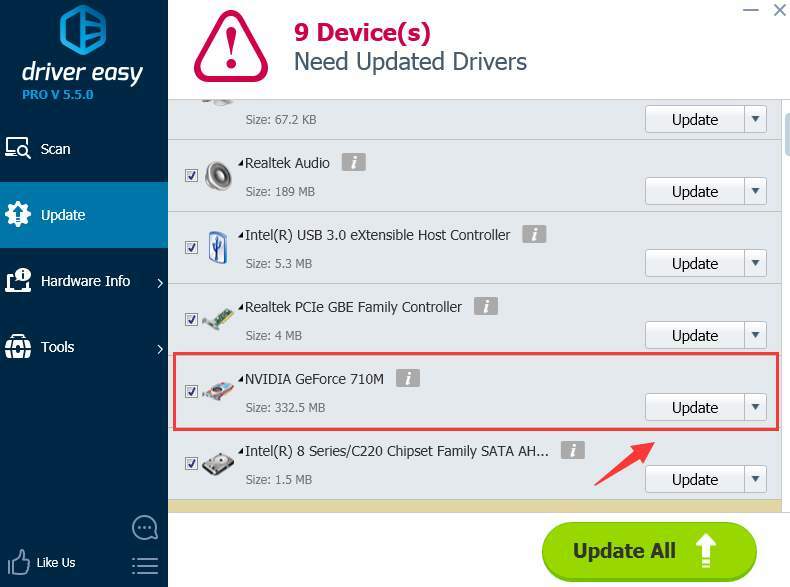 3) Click the Update button next to a flagged GT 710 driver to automatically download and install the correct version of this driver (you can do this with the FREE version). 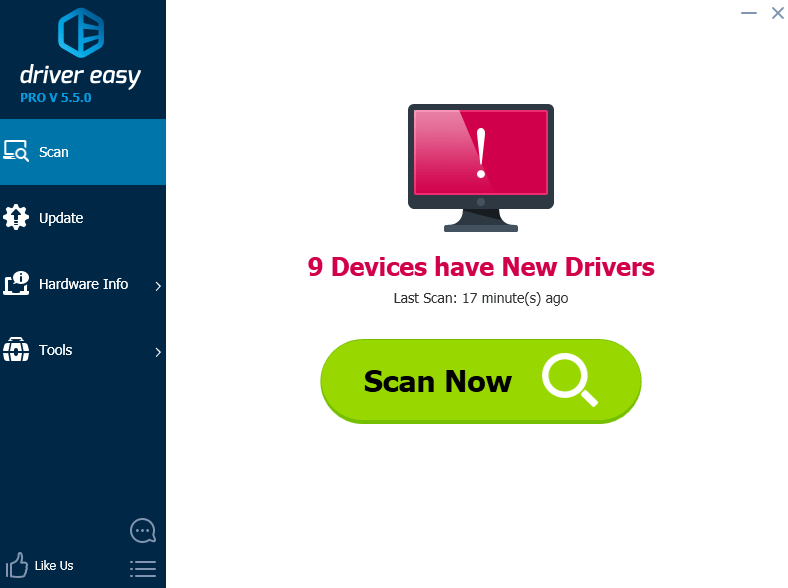 TIP: If you have any questions while using Driver Easy, please feel free to contact our support team at support@drivereasy.com for further assistance. Our support team would be happy to help you resolve this error. Please attach the URL of this article so we could assist you better. If it turns out that the pro version is not satisfying enough, just ask for a refund 30 days within the purchase and we will take care of it for you.